I designed and hand craft these chef bags. 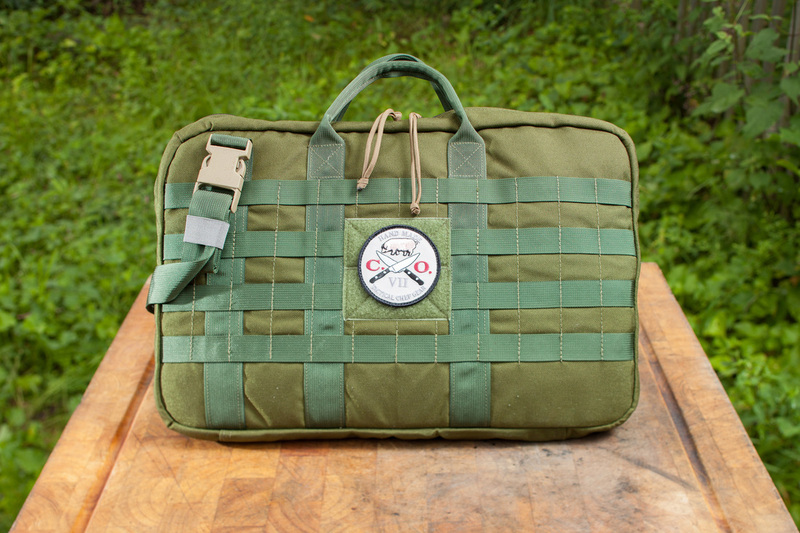 An amazing bag for people who enjoy what they do and the tools they need to do it. 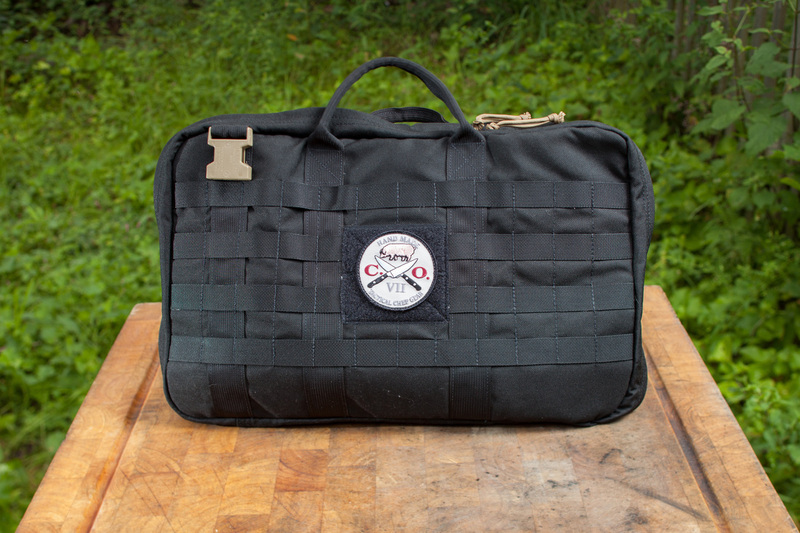 Each bag is hand made by me and designed specifically for Chefs. Made from 1000d Cordura Nylon, all ITW Hardware and double and triple stitched seams, the CH.OPS bag is built to last a lifetime. 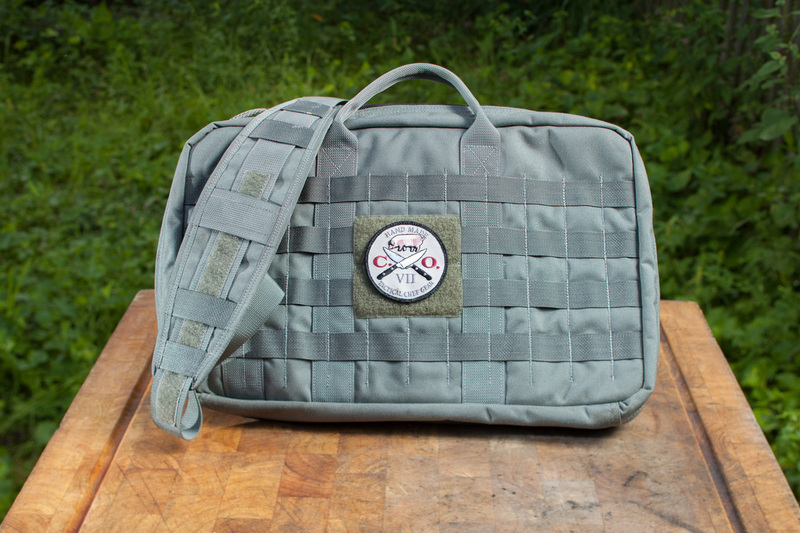 The exterior of the bag is made up of four rows of PALS webbing which can hold any after market MOLLE compatible pouches. They are also perfect for pens, Sharpies, sunglasses or just to display your custom name tag and CH.OPS patch that comes with each bag. Inside the bag each velcro panel can hold an endless variation of knives and tools. Each bag can hold up to four panels as well as the chef coat storage bag. Add in all the elastic tool loops that line the inner bag and the 4 cell phone/ Ipod elastic storage pouches and there is room to grow with this bag. Oh, I almost forgot each side can also hold a 13" laptop or an Ipad. 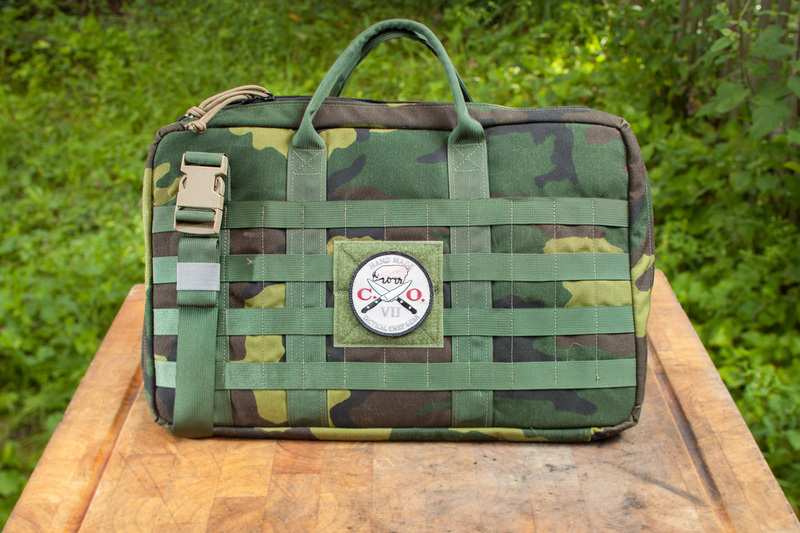 Every bag comes with 2 panels, 1 chef coat storage bag, 2 velcro knife panels which can hold up to 10 knives or tools, 1 velcro backed elastic x-tra wide tool loop that hold 10 tools and 7- 1" loops for sticking down small knives or other tools. This is a truly unique and customizable bag that will shift and grow with each user. Available colors: Black, Foliage Grey, Woodland Camo, Olive Drab, Pink.